Ole Gunnar Solskjaer says Manchester United will use their famous PSG comeback as motivation to overturn a 1-0 deficit against Barcelona in their Champions League quarter-final second leg. Solskjaer says their triumphant victory over the French champions in the last 16 would help them in their bid to recover from a goal down at the Nou Camp on Tuesday night. "That memory from PSG will help the players," Solskjaer said at his pre-match press conference. "It will help us as a team to try and turn things around. 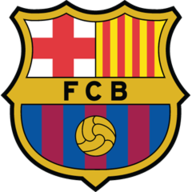 "We know Barcelona at the Nou Camp is a difficult prospect, but the memory from that night will live with the players. It's not that long ago and we are one goal better off." The game marks Solskjaer's return to the stadium where he scored United's injury-time winner in the 1999 Champions League final against Bayern Munich. "Of course it's a fantastic memory for me," he said. "It's the only time I've been on the pitch, but I don't really look back on that night too often. My job now is to make us play better than in the first game." Barcelona head coach Ernesto Valverde said Lionel Messi is fit to play after taking a knock from Chris Smalling in the first leg. Messi and several other first team players were rested for the Catalans' 0-0 draw at La Liga bottom side Huesca on Saturday. Barcelona will try to dominate United in front of their home support, according to goalkeeper Marc-Andre ter Stegen. He said: "Of course it's important to keep a clean sheet, but we have to play with a lot of personality, like always, and dominate them." Alexis Sanchez and Nemanja Matic are part of a 22-man Manchester United squad which has travelled to Barcelona ahead of Tuesday's Champions League quarter-final. Sanchez could feature against his former club after recovering from a knee injury. Sergi Roberto and Ivan Rakitic are expected to return to the starting XI after recovering from knocks. Ousmane Dembele is fit again to play after being an unused substitute in the first leg. 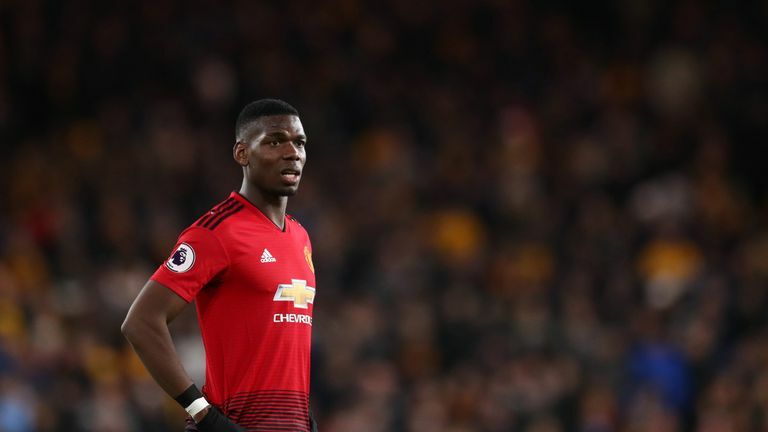 Paul Pogba says Manchester United have the ability and confidence to beat Barcelona in the Nou Camp and advance into the Champions League semi-finals. Of the 70 previous occasions a side has won a Champions League knockout tie first leg away from home, just four have been eliminated (6 per cent). However, two of those instances have been in this season's competition, including once by Manchester United. Manchester United have progressed from one of their four previous European ties in which they lost the first leg at home, although it was in the last round against Paris Saint-Germain. Barcelona are unbeaten in 30 Champions League home games, the longest such run in the competition (W27 D3). They've also not conceded more than once in any of those 30 games (15 goals in total) since a 0-3 loss to Bayern Munich in the 2012-13 semi-finals. 90 per cent of Manchester United's Champions League goals this season have come away from home (9/10). However, the Red Devils have won just one of their last five away knockout stage games in the competition (D2 L2). In their first leg defeat, Manchester United failed to register a single shot on target for the first time in a Champions League game since March 2005 (0-1 vs Milan). Manchester United have lost 49 Champions League games - they could become the ninth different club to reach 50 defeats in the competition, and just the second English side (Arsenal, 53). Barcelona's Lionel Messi has scored 22 goals in 31 Champions League games against English opponents, more than any other player in the competition. 13 of those strikes have come in his last nine against English sides at Camp Nou, including hat-tricks vs Arsenal (April 2010) and Manchester City (October 2016).